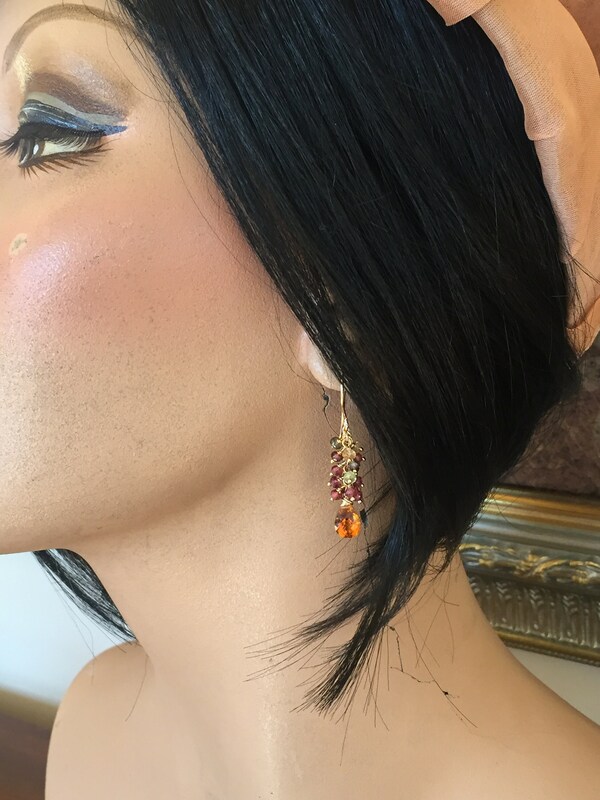 Golden honey colored citrine briolettes that are beautifully faceted, with a smooth surface on the front, and concave in the back, are the focal point for these delicate tassel earrings. Rated AAA grade, the citrine are hand cut and faceted, and their rich honey color is exquisite. 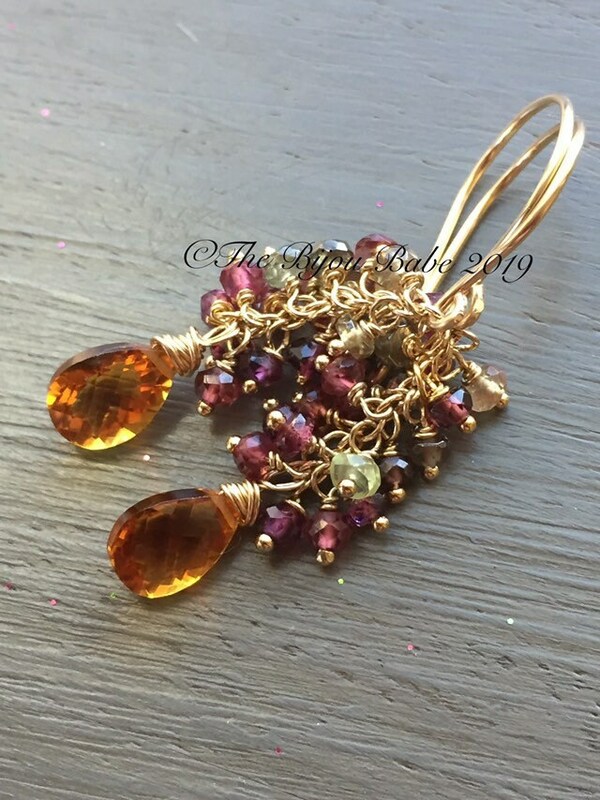 Dazzling garnets and tourmaline in shades of plum, raspberry and green are wire wrapped on 14kt gold filled headpins and trail down to the citrine. Hand forged ear wires of 14kt gold filled metal finish the earrings. ~Please refer to sizing on mannequin, as the photos are enlarged to show details. 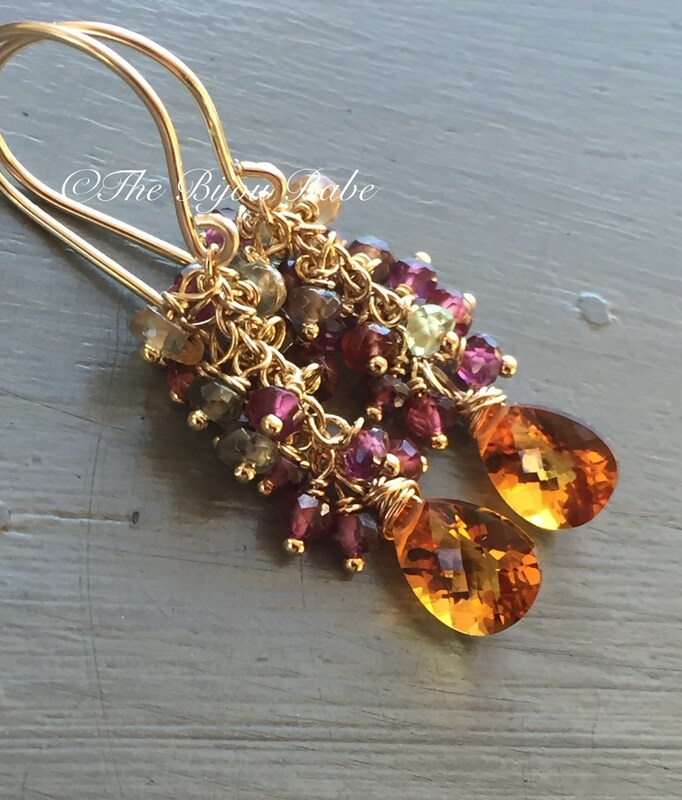 These are a delicate and beautiful pair of earrings with genuine citrine. Your gemstone earrings will ship USPS Priority Mail with tracking in the US (please contact me for upgraded shipping services for international locations) and will be packaged in a keepsake gift box tied with ribbon.